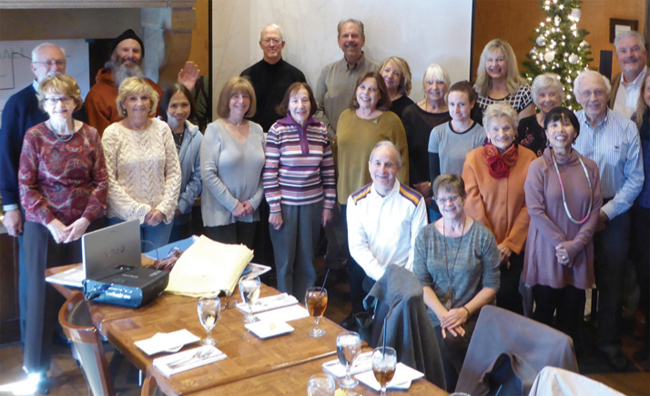 Twenty-two members and guests met at Trezo Mare Restaurant in Kansas City on Dec. 1. At the most recent Kansas City Chapter gathering, Trudy Nepstad gave an enjoyable presentation on her trip to Timbuktu and Mali. The trivia question asked what national capital is at the lowest elevation. Lanny Brewer (who had just returned from there) correctly guessed Baku, Azerbaijan, 92 feet below sea level.